The Right to Information (RTI) Act has been an important tool for journalists to uncover sensitive, important and hidden information in the effort of writing major stories. In fact, a lot of stories published on Moneylife have been backed up by information retrieved through RTI applications. 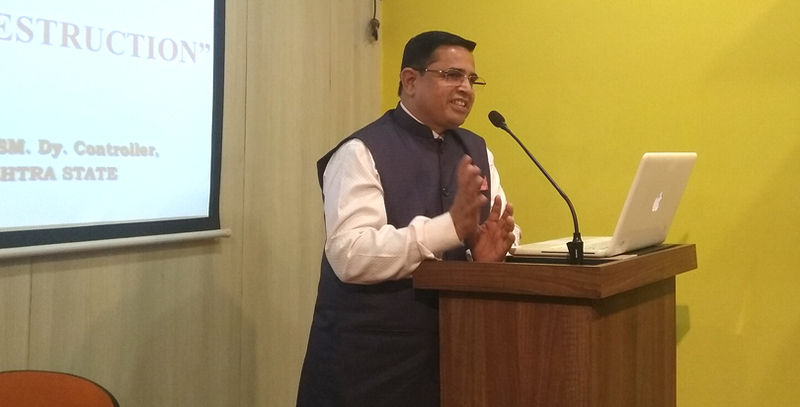 Therefore, in the interest of sharing how RTI can be used by journalists, Moneylife Foundation had invited Vishwas Waghmode, prinicipal correspondent for Indian Express, who has extensively used RTI to write important stories in various departments across the Maharashtra government. One of the stumbling blocks in the path of investigative and analytical journalism has been the difficulty in getting access to official information. 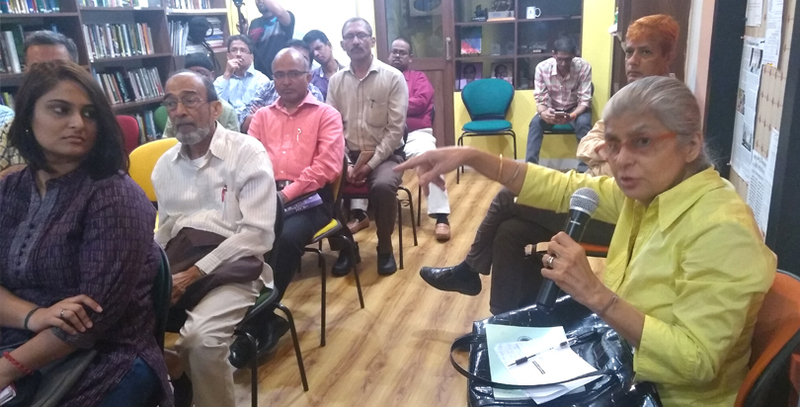 Here, the RTI Act has allowed journalists and even concerned citizens to boldly ask questions about the state of affairs, consequentially promoting accountability and transparency within the government. In his talk Mr Waghmode presented several examples to demonstrate how he has used RTI to investigate leads, acquire information and write important stories. Writing for the Indian Express, Mr Waghmode has investigated the controversial Chhatrapati Shivaji Memorial project. He stated how the initial cost quoted by the contractor was Rs3,826 crs. which was supposed to be the lowest bid as opposed to the government’s bid which was Rs2,500 crs. The government in order to resolve this issue, set up a committee led by the chief secretary in order to renegotiate the cost which successfully got the cost down to the government’s estimate if Rs2,500crs. Mr. Waghmode in connection with this case stated that the rules do not allow renegotiation but rather they are supposed to issue fresh tenders. He further added that the opposition was alleging the government had reduced the height of the statute in order to reduce the cost which the government vehemently denied. Reiterating the struggles he faced with the government authorities concerning the Shivaji Memorial project, he described how in order to get the required result, he filed a RTI application to inspect files showing the development details of the memorial with the project division. Interestingly, Mr. Waghmode revealed how the government had in reality decreased the height of the statue and the horse by 7.5m. But in order to show that the height of the statue was not reduced, they had instead increased the height of the sword by 7.5m. He further revealed that since the sword is straight, the amount of money required to build the sword was quite less when compared to the reduction in height and that in turn helped them reduce the cost by a substantial amount. This revelation in turn led to an embarrassing situation for the state government as they could not justify why the height of the sword was raised. Mr Waghmode also stressed the importance of having a good relationship with a PIO. When asked whether he is put at a disadvantage by mentioning his profession on an RTI application, Mr Waghmode replied, “Most PIOs don’t realise the person filing the application is a journalist and I don’t stress the fact when I go for an inspection.” He usually sympathises with the PIO by telling them how RTI has become a headache for them with so many people filing frivolous applications. He tries to persuade them that he is only there to inspect some documents and that he would do so independently, marking out pages that he would like to have copies of. Most PIOs would then readily agree to allow inspection of the documents and some have even become quite good friends of Mr Waghmode. He did agree however, that his profession is both an advantage and a disadvantage, as some PIOs recognising him as a journalist have denied him information while others have readily parted with it. Though the RTI act has made gathering information easy for the common citizen there are some public authorities who have become adept at denying information, claiming exemptions using various circulars of government departments and court orders. There are also circumstances when the concerned PIO would give out confusing information or information worded in such a way that it cannot be understood. Mr Waghmode’s advice on countering such actions was to keep filing RTI applications and perhaps approach the PIO with proper justification to prove your case. where employees seek infmn, the PIO denies it under many pretexts or replies falsely or, misleads, suppresses truth or suggests falsehood, though the seeker may have infmn, even records. Mumbai sees an unusually high number of fires and other disasters every year. While experts have not been able to pinpoint a single cause, haphazard development, lack of fire and electrical audits are some common reasons. 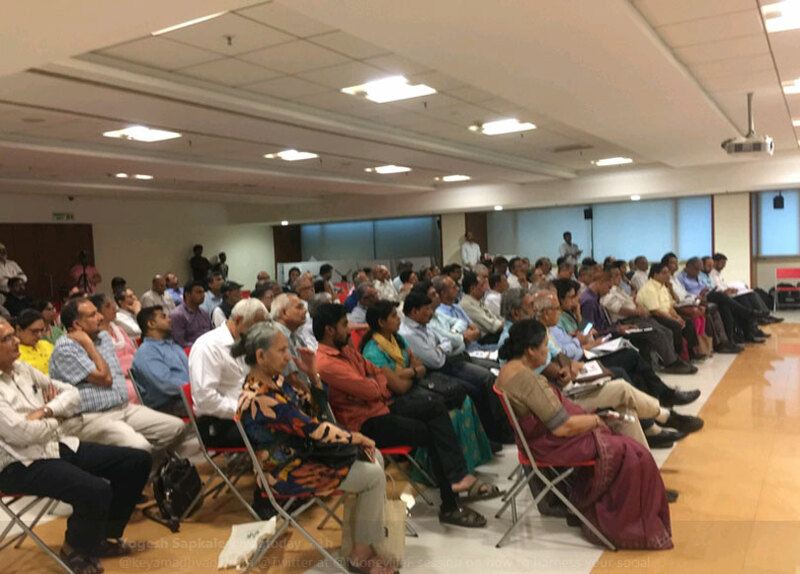 Keeping this in mind, Moneylife Foundation had organized a special session on ‘Do’s and Dont’s of Fire Safety’ by Adv Bapoo Malcolm and Shivajirao Bagat, deputy controller of Civil Defence Organistion. Adv Malcolm began the session by providing an overview of electricity and how it can work against us if not handled with proper care. Today, electricity is one of the leading causes of death and combined with fires due to short circuits or faulty wiring it can be quite deadly. 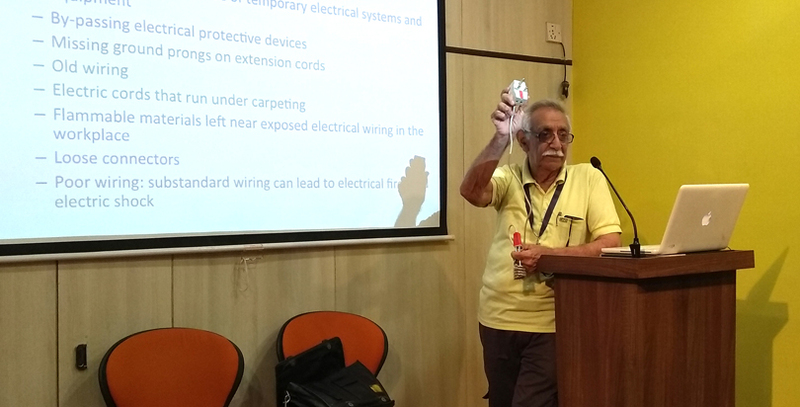 In his talk, Adv Malcolm spoke about the common causes of electrical accidents such as use of defective tools, cables or equipment, improper installation of electrical equipment, old wiring, flammable materials left near exposed electrical wiring, and loose connectors. He also shared simple rules that one must follow while handling electricity such as using wires with appliances of proper capacity and insulation, not overloading the electrical circuit, using appropriate circuit breakers and only using appliances with the ISI mark. “Do not use the common yet wrong practices of inserting too many plugs into a single socket, using temporary wiring or sticking bare wires directly into a socket. Careless mistakes such as these can be a quick stop solution at the moment, but will most certainly prove lethal,” Adv Malcolm added. Covering every aspect of a fire, Mr Bagat from CDO, started the talk explaining how a fire starts and spreads by filling up any space with thick black smoke within minutes. A person trapped inside a place on fire has a very short amount of time to make critical decisions on escape. Once a fire has started, life threatening toxic gases are bound to be released. Breathing even a small amount of smoke and such toxic gases can make a person drowsy, disoriented and short of breath. The odourless, colourless fumes can lull you to sleep even before the flames reach you door, he added. Some of the basic tips that he offered were to stay calm, not to immediately panic and start running. “Your first step should be to escape out of the premises and then proceed to calling for help. Once you have ensured that there is no one left behind and a safe path of exit is open, you should also attempt to close all doors and windows on your way out. While escaping, only use routes that have been specifically designated for that purpose and always use staircases instead of elevators,” he added. These days, especially in Mumbai there have been quite a few fires in high-rise buildings. Speaking about such fires, Mr Bagat said, “If a fire does break out in a building in your flat, in most circumstances you should be safe in your own flat. But if your flat is affected by the heat or smoke, leave at once while closing doors and windows behind you.” He also spoke at length about the various prevention systems such as smoke, heat and gas detection systems, overhead fire sprinkler system, fire pump and underground water tanks. When speaking about fire safety in high rise buildings, Mr Bagat talked about following the rules and regulations as laid down in the National Building Code (2005/2016) and the Maharashtra Fire Prevention & Life Safety measure Act (2006/2009). There are a few basic rules that every high rise resident should strictly follow - ashtrays for indoor smoking, waste receptacles to be emptied regularly, correct rated wires to be used for all electrical appliances, faulty appliances to be repaired or replaced immediately, etc. Most important of all, emergency exit doors should be kept free from obstructions and safety equipment should be maintained in high standards with checks at regular intervals. Every floor in a high rise building should have an “Emergency Evacuation Plan” placed at strategic locations, indicating the exits that are available on that particular floor. Although fire evacuation drills have not become mandatory, Mr Bagat feels that buildings should conduct them at regular intervals, so that residents become familiar with the emergency exit routes available to them. Good article that reiterates most important aspects of fire safety. Today, social media has become increasingly popular with all sorts of people from students, policymaker to politicians and the public expressing themselves on several issues or even get things done. However, many users struggle to understand what social media is and how they could use it. Moneylife Foundation had invited Keya Madhvani Singh, head for entertainment partnerships at Twitter India to explain how the power of twitter can be understood and harnessed to deliver a message effectively. She explained how people usually come to Twitter in a discovery mind set, looking for what is new and for great content or stories. She then proceeded to explain the step-by-step process of using Twitter. Simplifying the process of filling out the profile page, she shared three easy steps, “describe what you do and your values; tell your followers what to expect from following you and explain your product or service with a link to your company profile”. After briefly explaining the basics of Twitter and explaining the differences in reply, retweet and like, she took the attendees through a simple process of composing a tweet. “Even with the increased word count of 280 characters a tweet should always be brief and should convey your message effectively. An image in support of your tweet can often help in keeping a tweet brief. Finally, Twitter is about having a conversation and new users should follow trends on the platform to ‘plug into’ an on-going conversation,” Keya added. During her presentation, Keya also shared few examples of ideal Twitter users that make the most out of the social media platform. Responding to a question on misuse of Twitter platform, Keya says,"We have certain tools to curb abuse on Twitter. Unlike WhatsApp, here on Twitter, a user can report a tweet, block or mute those handles that may be spreading wrong information or fake news. Once a user report about a handle or tweet, our teams review it and take necessary action." She also clarified that Twitter has stopped verified accounts for individuals. "However, we have not appointed or authorised any agency to verify accounts. If you come across such agency or person, then we request you to share it with us," Keya said. According to the Twitter India's Head for Entertainment Partnership, Twitter is platform for communication but it is not replacement for police, fire or civic authorities. However, she says, more and more authorities are coming on the platform and using it effectively for better communication with general public. She shared how Mumbai Police are using Twitter effectively to help citizens after receiving information and complaints.